A brilliant recent graduate struggles to find work. After falling into a babysitting job, she is introduced by the child's mother to the world of the international call center, its employees, and the fast pace that drives them. A 1940s-set drama where an adulterous man plots his wife's death instead of putting her through the humiliation of a divorce. Italy and America, young and old,thriller and comic, this film has it all! You could say this film is about a young Italian in America constantly running away from difficult situations,or you could say it is about youth and growing up by confronting ideals with reality. But it also shows different lifestyles, (the average well to do American family, the Italian large family, the impoverished artist). 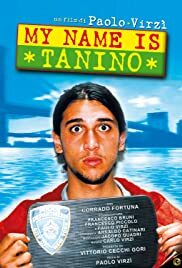 The performances are good quality, helped by an on the spot casting for example corrado fortuna's (he plays the main character) expressions are quite hilarious or even just his out of place presence create a comic outcome. Of course it is even funnier if you are or have been in contact with Italian culture (and i mean not just from films and TV! ), especially from the south, otherwise Castelluzzo,the town from where the main character comes from, might remind you of any little village where everyone knows everyone and everything about everyone. There isn't specifically a plot but you could describe it as the comic adventures of a young Italian in America but that might make it sound like a kids book. Alltoghether it is a memorable simple little film that you will probably enjoy.